HomeAlan StaggAlan Stagg How I won the Drennan Cup . 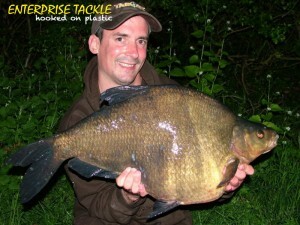 I decided to concentrate on some lovely gravel humps at range that just screamed bream. My first trip resulted in a small fish of around 9lb, but as I quickly tallied up 13 blank nights, location was proving difficult! On my 14th night of the campaign things finally came good and at dusk one of my rods signaled a drop-back, resulting in my first double of the year at 11lb 2oz. Four more fish fell during the early hours, all doubles, including a new pb of 16lb 12oz. With another night ahead of me I topped the area up in the afternoon, made sure the hookbaits were positioned perfectly and sat back eager to see if the fish would return. An hour after dark I had a couple of liners, and it wasn’t long before my bobbin dropped like a stone. 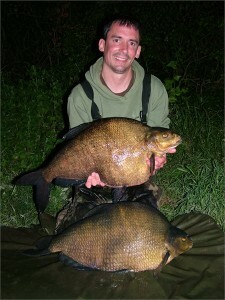 During a sleep-deprived night I went on to land four fish (all doubles again) and another pb weighing 17lb 3oz. I could wait to return, and organised a trip two weeks later, arriving early on Friday morning. After two uneventful nights, I decided to move. 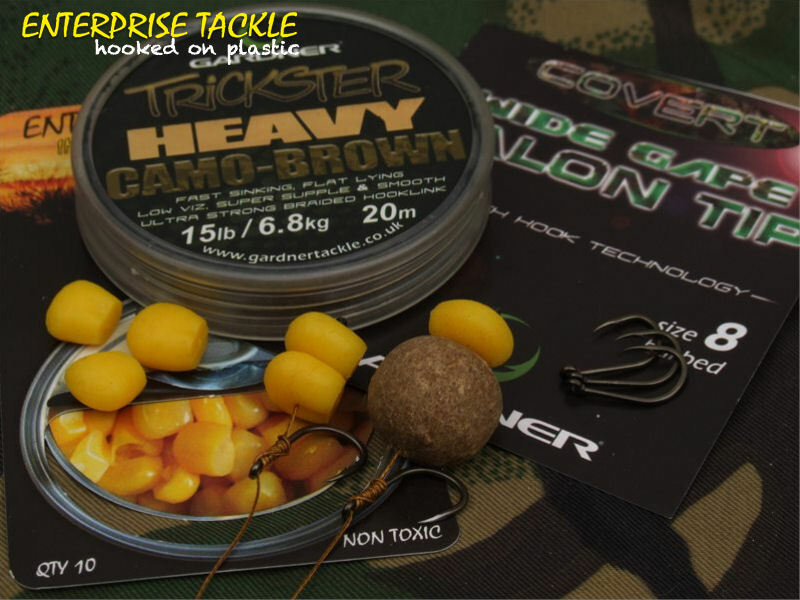 Baiting the swim with two tins of corn and a generous helping of 4mm trout pellets, I soon had three Enterprise Tackle imitation corn hookbaits positioned perfectly. Dusk loomed and several big bream rolled off the back of the baited area. An hour into darkness the bobbin on the middle rod dropped and I was soon playing what I knew was going to be a big bream. Gently I coxed it in and slipped the net under a big fish – the scales registered 17lb 6oz. I slipped the fish into a retainer to recover, and minutes later the left-hand rod pulled up tight. I was soon placing another big fish on the mat, and this time the scales registered a fish an ounce smaller than the first at 17lb 5oz. A memorable brace! In July I headed off in search of a big tench, but they proved difficult to tempt. 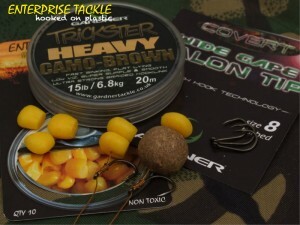 I saw some huge fish roll over my baited area, but no matter what I tired, getting a pick-up proved difficult. After banging my head against a wall for several weeks, I decided to call it quits and head off to a different venue to try for a decent rudd. The venue was Frensham Ponds, renowned for its rudd, and it didn’t disappoint. 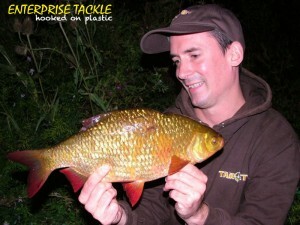 I landed a number of fish over 2lb before deciding on a change of venue. The following weekend I made the long drive to a new fishery and spent hours trying to find the rudd. Once I was happy that I had located what I was looking for I got set up just before dark. 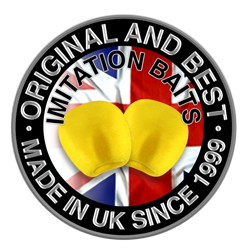 Using standard float fishing tactics with a small betalight to illuminate the float tip, I took two good fish just into darkness, weighing 2lb 5oz and 2lb 7oz, both on sweetcorn fish two-thirds depth while spraying regular helpings of maggots and hemp. Just after midnight the float sank again and as soon as I struck, I knew it was in a different league. 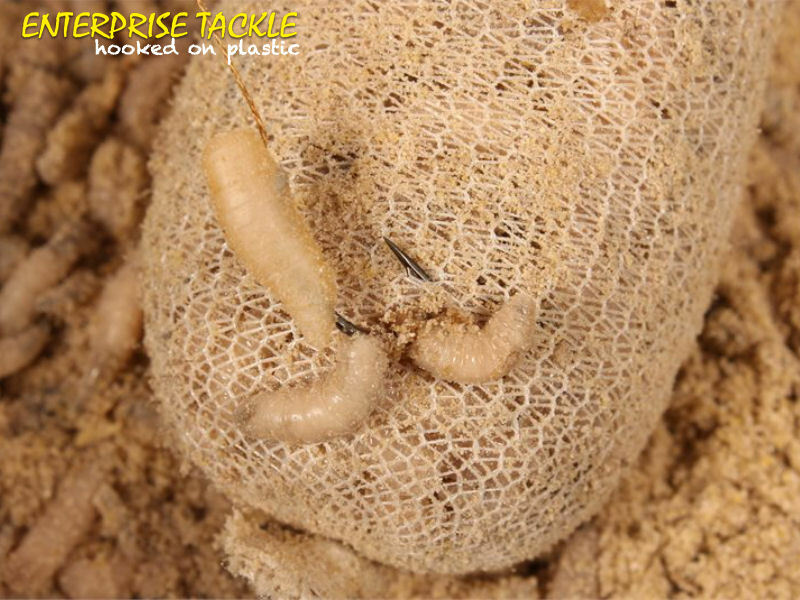 After several nervous moments when the fish found a weed bed, I slipped the net under a monster rudd. The scales read 3lb 5oz, a new personal best for the species. 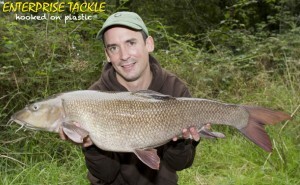 In late September I fancied having a dabble for barbel. After gaining a ticket on a rather special stretch of a Thames tributary, I decided to dedicate a fair amount of time trying to track down and catch some of its big, nomadic residents. With lots of effort I was able to slip the net under a few good’uns. After putting some prep work in, my first trip resulted in a bit just two hours after setting up, which resulted in a nice fish weighing 11lb 10oz. As the water was low and clear, a trusty mag-aligner rig proved its downfall. Knowing that I couldn’t get back to the river for an actual fishing session until the following week, I visited most evening’s, which allowed me to locate some good areas and keep an eye on what was going on. 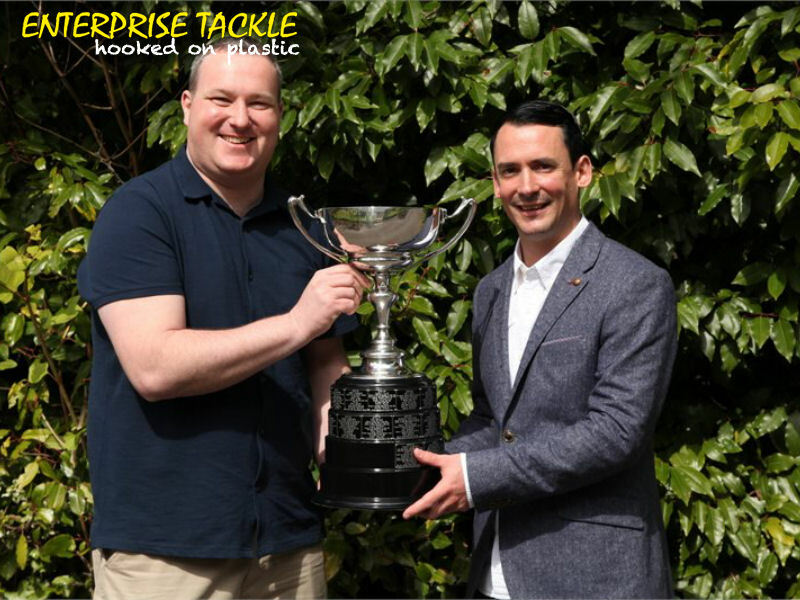 This preparation paid dividends, as on my next session I managed to slip the net under the stretch’s biggest known resident. The fish weighing 15lb 8oz, and again picked up my hookbait just a short while into the session. Pleased as punch with this fish, I couldn’t help but have another couple of trips, which resulted in fish weighing 12lb 10oz and 14lb 4oz. I then suffered a couple of blanks and decided to quit while I was ahead. I took a break from fishing for a few weeks in late October and began to formulate a plan for the winter ahead. Barbel and chub were a possibility but I had a burning desire to travel south and fish some of the famous chalk streams for big roach and dace. After doing a lot of homework and lots of walking with a set of Polaroid’s, I settled on two stretches that I was happy might produce the big fish I was after. I decided to split my time between the two and learn as much as possible, which I hoped would see my in a good position for the winter months ahead. Well, I was to get a bit more than I bargained for! 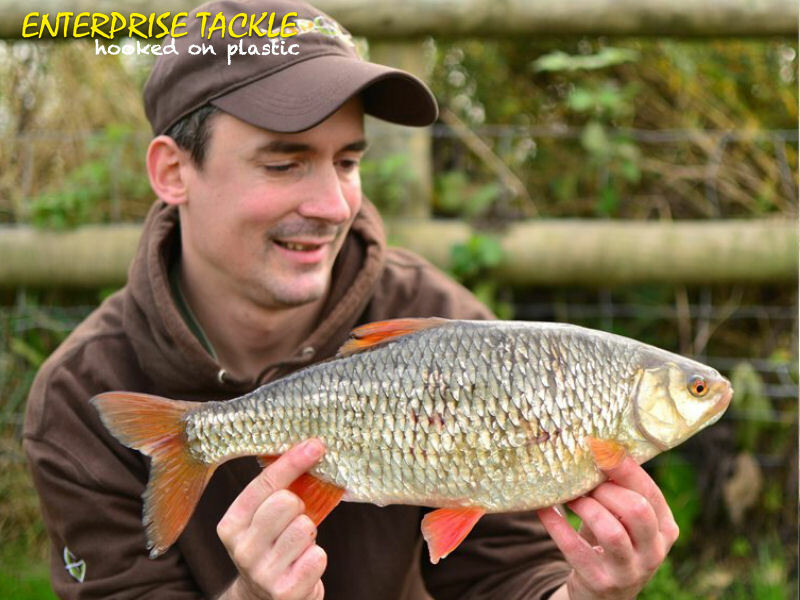 During my first couple of sessions I caught plenty of fish and soon began to form a picture of where I thought a big roach might put in an appearance. I arrived for my third session late one morning and after walking the stretch, I was soon set up in an area that I had one of the ‘gut feelings’ about. 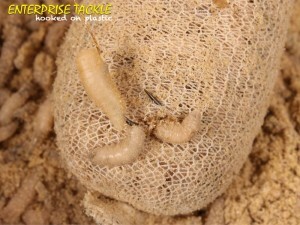 It was a blustery day, so flat fishing was out of the question and I settled for a small maggot feeder. My first cast produced a trout, which I prayed had not wrecked the swim, so I left the second cast in for around five minutes before retrieving and casting out a fresh feeder full of maggots. Soon afterwards the tip pulled round as the feeder dislodged and a strike was met with what I assumed what another trout. As I played it towards the net in the clear water I soon saw I was wrong, and was attached to a monster roach. I gingerly played it for a couple more nerve-racking minutes before I was able to glide it over the waiting net. 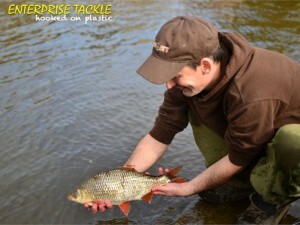 Parting the mesh, it was indeed a monster, which tipped the scales at 3lb 3oz 8dr. Catching roach from still and running water was something that I dearly wanted to achieve, and it rounded the season off perfectly.